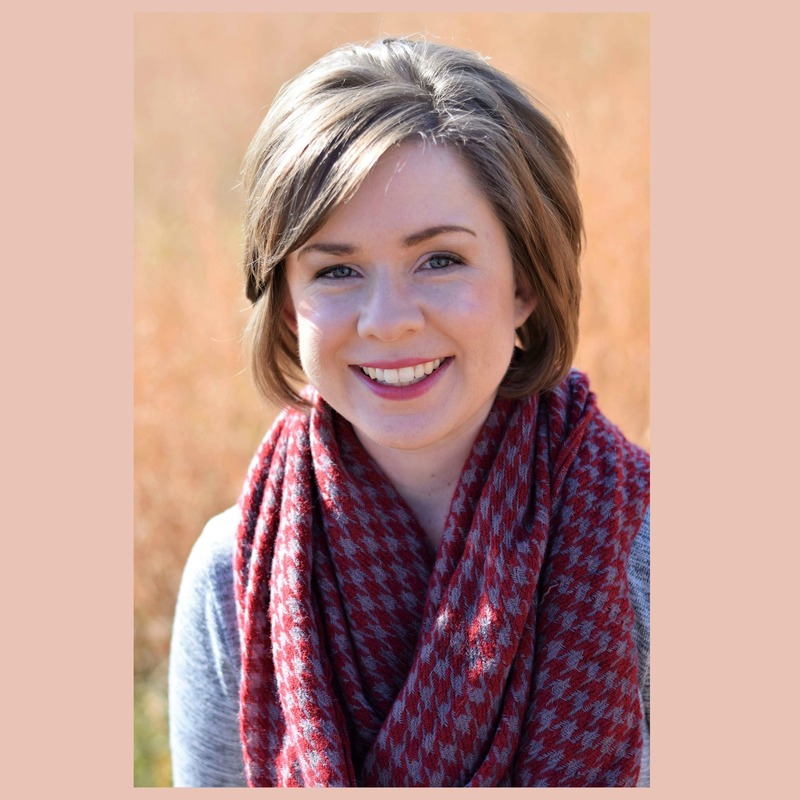 I started my quest to have an organized home at least year before I began blogging. 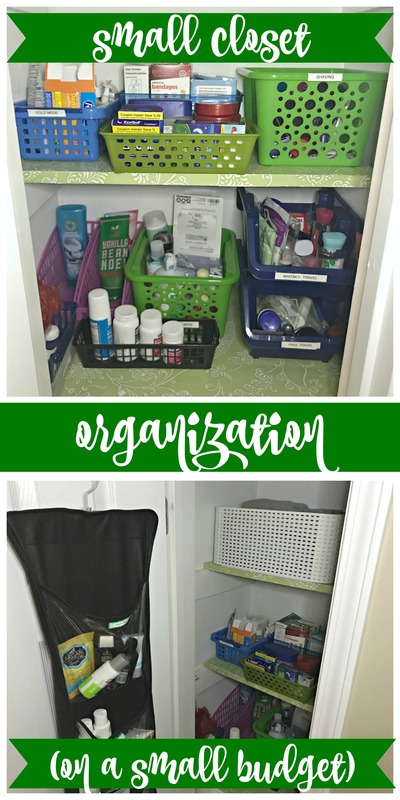 One of the first organization projects I tackled was the tiny closet over our air return. 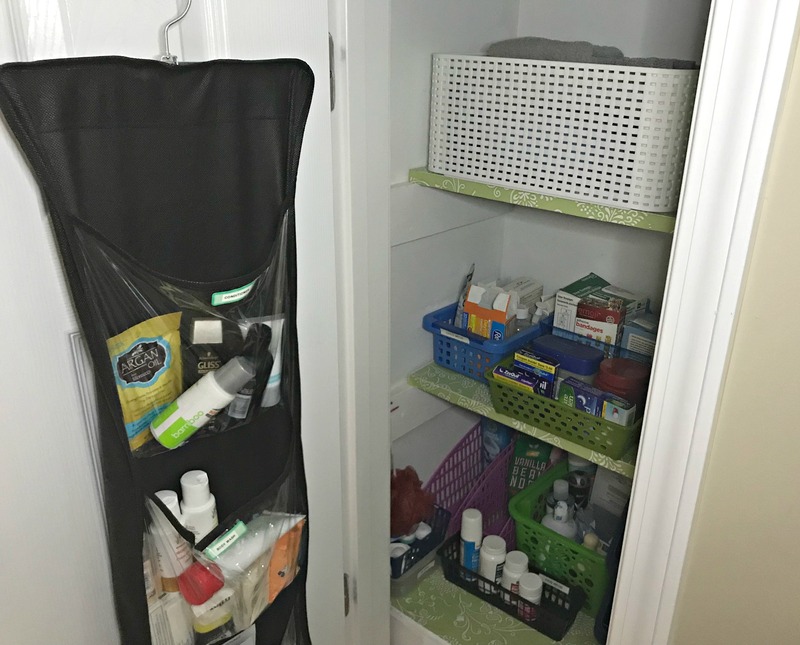 Since neither of our bathrooms have a closet, this space is the designated first aid/travel toiletries/overflow bath and body product closet! The system that I set up years ago still works pretty well, but occasionally I have to get in there and throw away old products, straighten the shelves and make some adjustments. 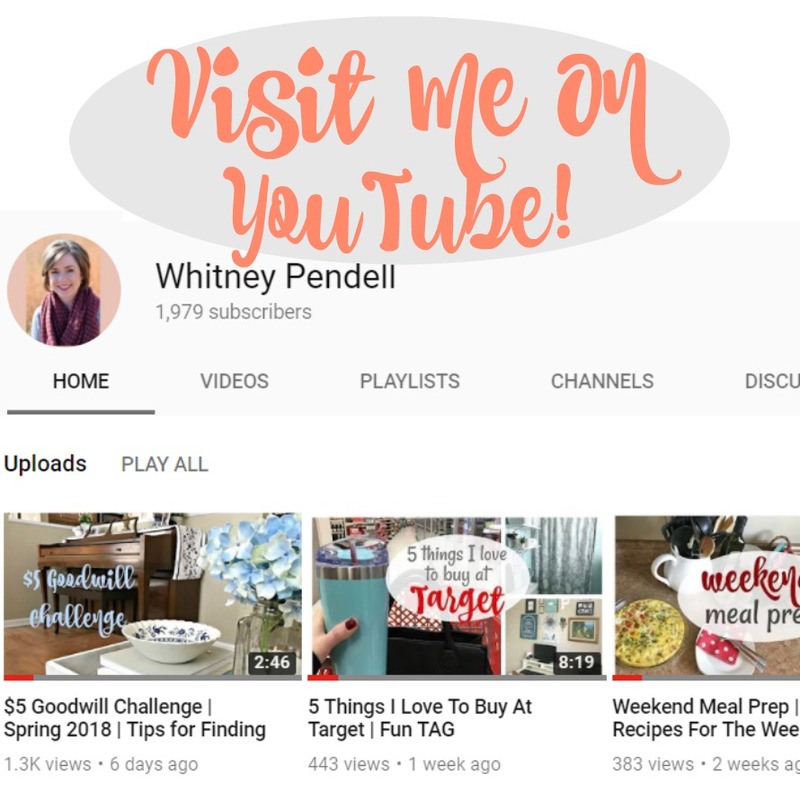 I did that earlier this week and can’t wait to show you how nice it looks! When I realized I needed a few different bins in place of the ones I had previously, I reached for the ones in my stash. 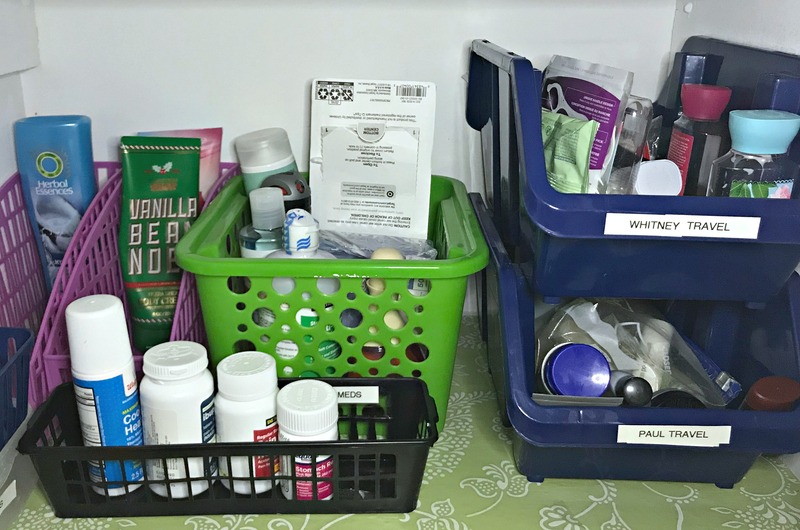 At first I hesitated to use them because they don’t match the green ones I’ve been using…but I remembered this post from my friend Laura at Organizing Junkie and decided that they didn’t have to match – they just have to be functional! It’s very hard to get pictures in the hallway, but here’s a look at the three pocket organizer that holds our travel sized items. This is a great way to maximize space! This closet had gotten pretty messy – if you want to see the before and after from earlier this week, I showed the messy “before” in my video below. 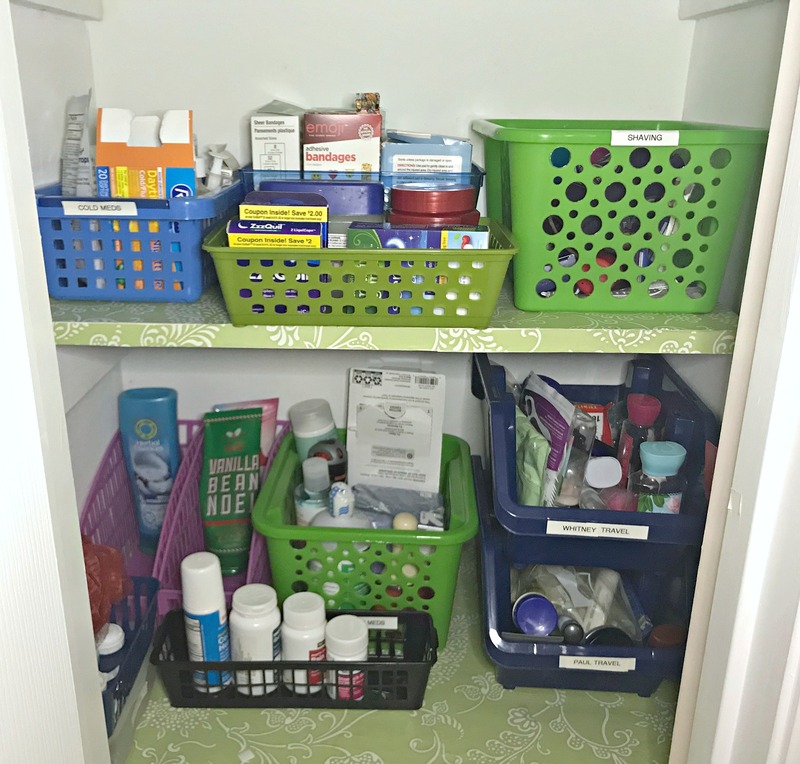 Organizing products do not have to be expensive! 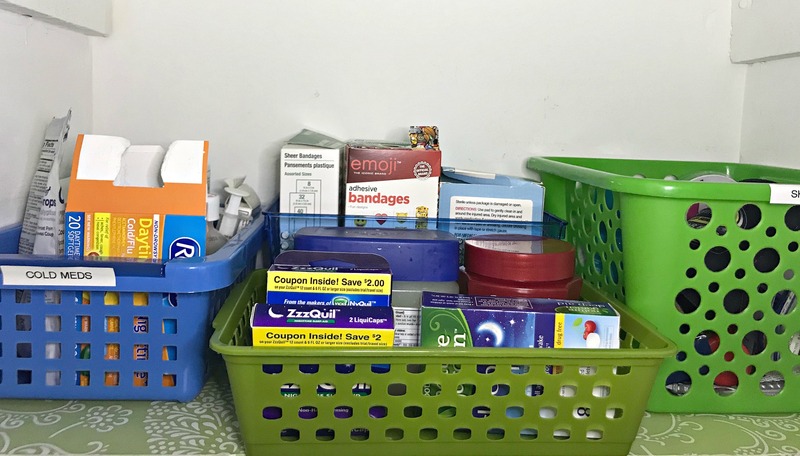 I have purchased all of these bins from The Dollar Tree, Dollar General and the Target Dollar Spot over the past several years. The big white bin on the top shelf is from Target – I grabbed that one from a clearance end cap and knew it would be perfect for maximizing space on that top shelf! Love those small baskets from dollar tree. I organized my whole linen closet. Great post! Thank you, Tamika! They work so well for projects like that. Very, Cute! I like the pop of green. And I love you! 🙂 Thanks, friend! 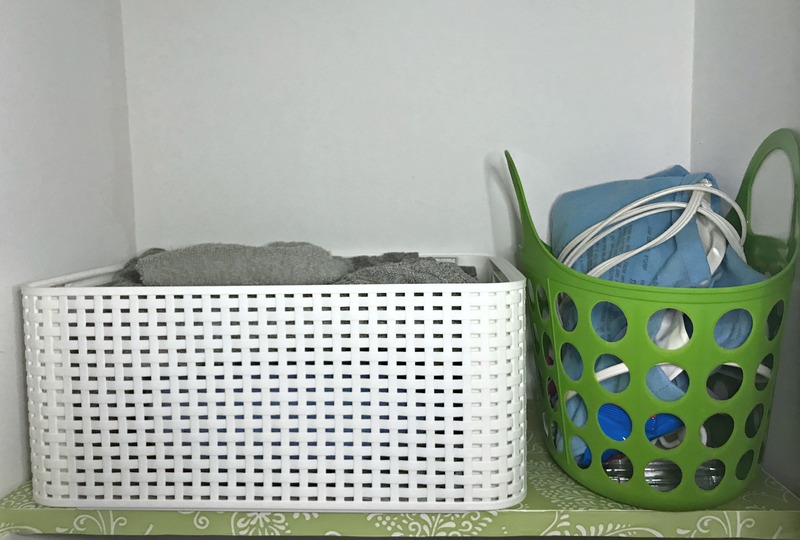 I use baskets to organize every small space, especially under the bathroom sinks. Yes! That’s a great place to use baskets! I love to organize but keeping things organized is my problem. I really need to go through my kitchen cabinets( bottom ones mostly) and re group. If I were rich I would have drawers on the bottom instead of shelves. So much easier to keep things tidy. Those pull-out drawers are amazing, aren’t they? !